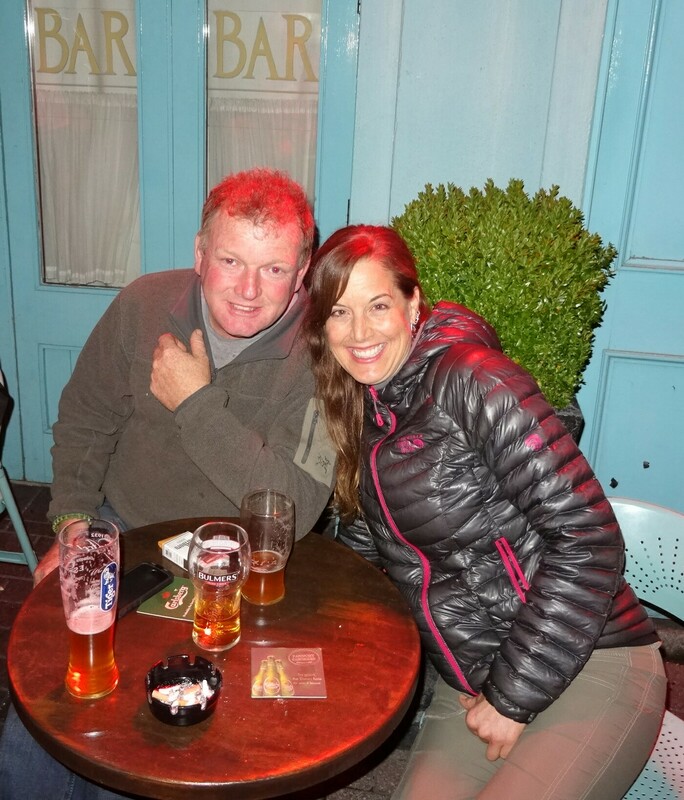 After 3 weeks in Dublin, Ireland, Elie, Scotland, and Paris, France with my Texas and Illinois peeps (see previous post), I flew back to Ireland for a planned 2-month stay with my Irish friend Martin. Martin and I have been friends since meeting 5+ years ago while camping in Death Valley National Park, California. After many years in San Francisco, he recently moved back home to Browns Mills, Ireland. Browns Mills is a small farming community just outside of the well known town of Kinsale in County Cork [about 180 miles (286 km) southwest of Dublin]. Farmers in the area, and throughout Ireland, primarily grow barley, the majority of which is grown for livestock feed and bedding, with a small percentage of it grown for whiskey production, if the quality meets the makers’ high standards. 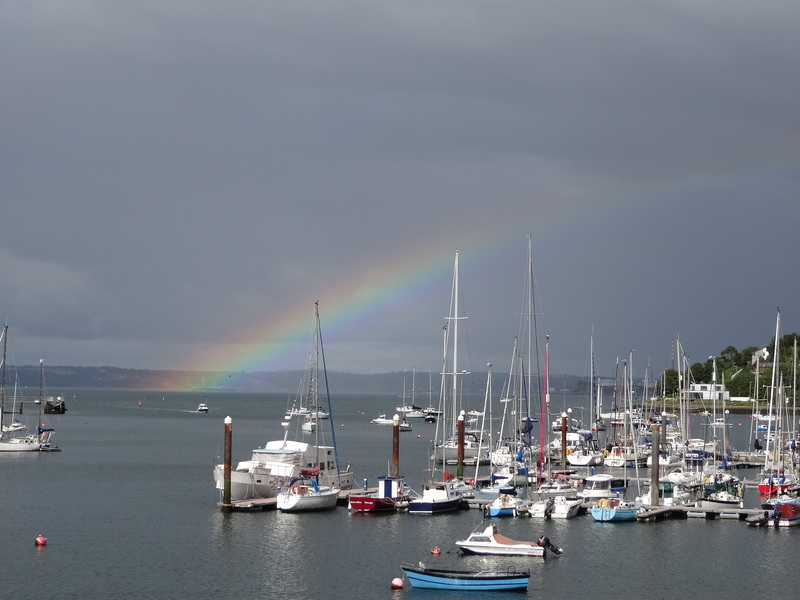 Kinsale is a historic port and fishing town (population 2,257) located on the coast at the mouth of the River Bandon. The streets of this charming town are lined with colorful shops and delicious local cafes and restaurants. While it’s a highly visited town, it didn’t feel touristy, I think because there are no American chain stores (yeah!). It’s also known as the gastronomic capital of the Republic of Ireland. Beside growing barley on his own 10-acre plot, Martin works as a contract farmer, meaning he’s hired to harvest, mow, and bale other farmers’ fields using his big toys (aka combine harvester, tractors, bale handler, etc). He is also the proprietor of Motofeirme, a service helping non-Europeans find, purchase, insure and store their own motorbikes for travel around Europe and beyond (www.motofeirme.com or https://m.facebook.com/motofeirme). Given his busy life, especially during the summer harvest, I came to Browns Mills to visit and to help him with Motofeirme. 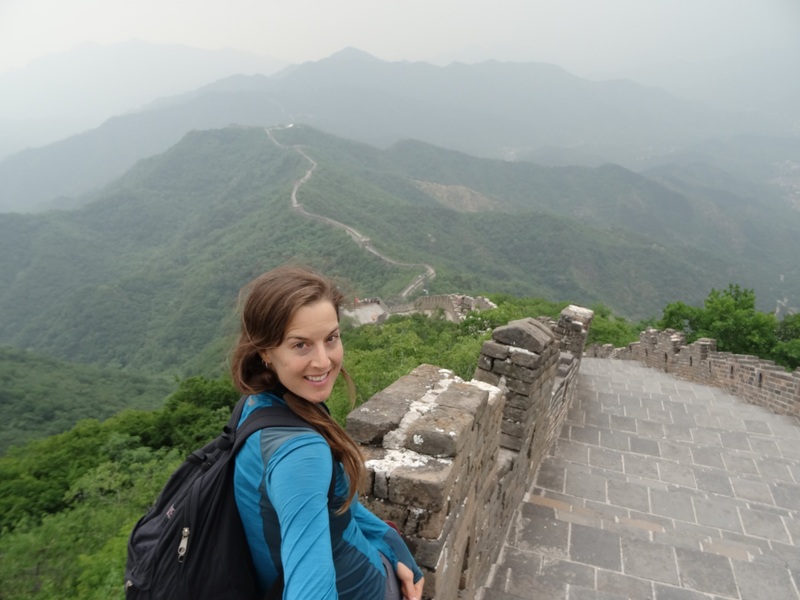 So, what did I do for 2 months in Browns Mills, Ireland? Explore southern Ireland and learn a lot about farming and motorcycles, of course! Upon arriving in Kinsale from the Cork Airport, I was treated to a very friendly welcome by Martin’s mom, Eileen, who is an adorable, exuberant person with a lovely warm smile and laugh. Martin sent her to pick me up from the bus stop since he was busy harvesting. In fact, I didn’t see him until my second day there and even then, only for a few hours over the next few days. Thankfully, Phil (England), my predecessor, was there to greet me and show me around. I settled into my private room in the 4-bed bunkhouse at Martin’s place then took a few days to transition from having just been in bustling Paris to being surrounded by farmlands for as far as the eye could see, hearing cows mooing in neighboring fields, and seeing tractors and giant harvesters, including Martin’s, drive down the narrow farm roads. It was nice to slow down and smell the barley. Phil, who’d been helping Martin with Motofeirme since April, showed me the ropes during his last week there before heading home to the Neitherlands. Basically I would be the Motofeirme greeter, meeting and assisting bikers arriving to Martin’s place to pick-up or drop-off their motorbikes before/after their European travels, tend to the bunkhouse, and perform other odd jobs as needed. It was great meeting the bikers, mostly from Australia, Canada, and the US. It was especially amusing greeting those who were seeing their motorbikes in person for the first time, having purchased their bike through Martin, who they hadn’t previously met, via photos, phone calls, and emails. The sigh of relief that the motorbike they pre-paid for prior to boarding the plane to Ireland was there and in the promised condition was definitely perceptible. Some of the bikers I met stayed in Kinsale, but most stayed in the bunkhouse, some for a few nights and some for a week or more while they readied their motorbikes and gear for the upcoming road trip or unwound before returning home after many weeks or months of being on the road. Hearing about their travel plans and stories from the road was definitely a huge perk of the job. 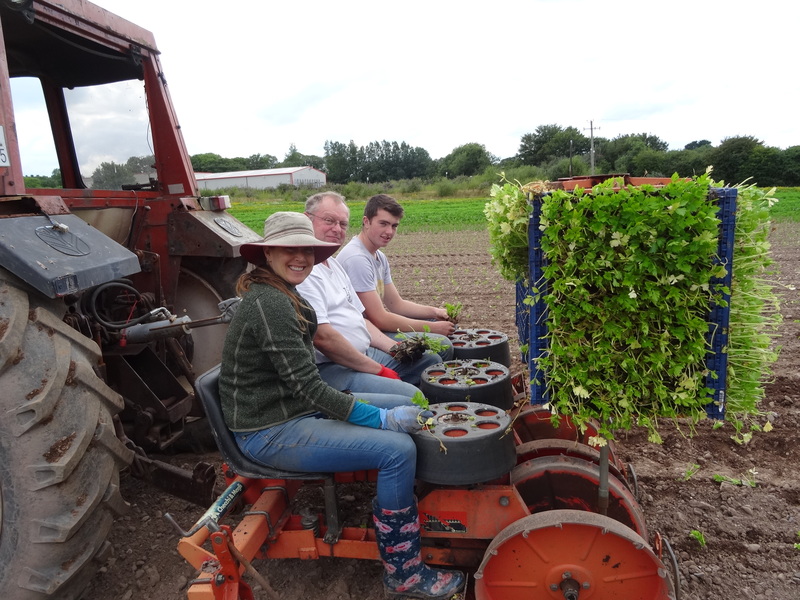 When there were no bikers picking up or dropping off their motorbikes, I helped plant, harvest, and bag veggies for Horizon Farms, a local farm run by Martin’s friends, Colum and Liz, that supplies many of the area restaurants and markets. I really enjoyed learning about growing and harvesting veggies including leeks, onions, cauliflower, lettuces, spinach, and various types of kale and broccoli. I have a new appreciation for the amount of hard work it takes to bring gorgeous veggies from the farm to the table. And I was able to bring home bags of the veggies I helped harvest (all by hand) – a huge perk for a veggie lover like me! Working and chatting with the Horizon crew (Colum, Liz, Nollaig, Philip, and Matt) made me feel like a local and definitely added to my Irish experience. In between exploring Kinsale and Cork, hanging out with Martin, working for Motofeirme and Horizon Farms, I also got to hang with some of my friends from San Diego, California, whom I hadn’t seen in over 6 months! I spent 4 days with Anaika, Ron, and their girls, Zeia and Auni, during their stay on an organic cattle farm near Bray in County Wicklow (about 12 miles south of Dublin). Then I hung out with Jody, Randy, Kristin, Thad, Karin, Ryan, and Helen for 4 days during their trip to Edinburgh, Scotland. 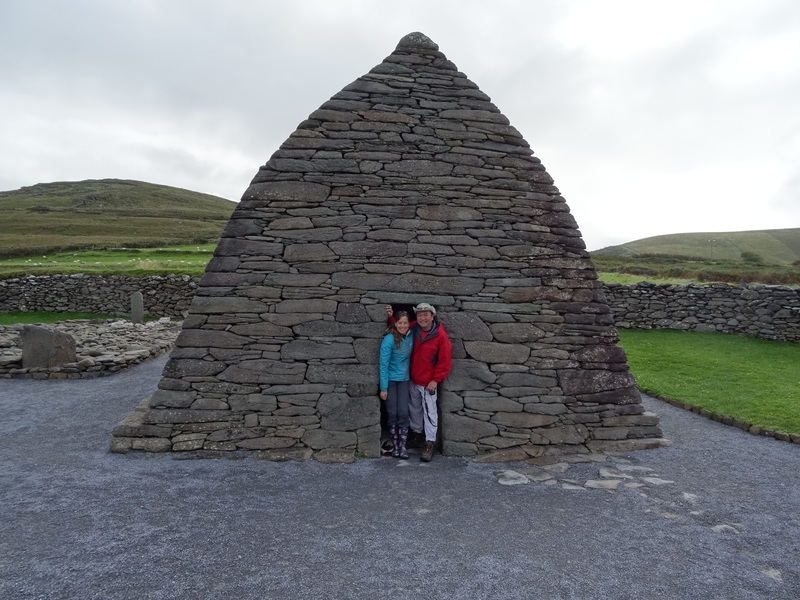 Then, Paul Kim came to visit me for 10 days during which we went on a 6-day road trip to explore southwestern Ireland, including the Cliffs of Moher, Dingle Peninsula, Iveragh Peninsula (aka Ring of Kerry), Gap of Dunloe, and Kilarney National Park. We had a great time exploring the spectacular scenery in our tiny rental car with a left-handed stick shift driving on the left side of many very narrow roads. Our road trip mantra: to the left, to the left. Living in and exploring Ireland for 2 months was a fantastic experience. It was great to learn more about Ireland’s rich history though visiting early monastic sites, forts, cemeteries, churches, castles, tombs, etc., talking with locals, and exploring the amazing scenery which included rolling pastureland and native shrub/grassland, oak/pine forests, limestone outcrops, and coastal mountains and cliffs. The experience was made much more special by the people I shared it with including my local friends, Martin and the Horizon crew, my Motofeirme friends, and my friends visiting from California. Thank you all for being part of a memorable visit. 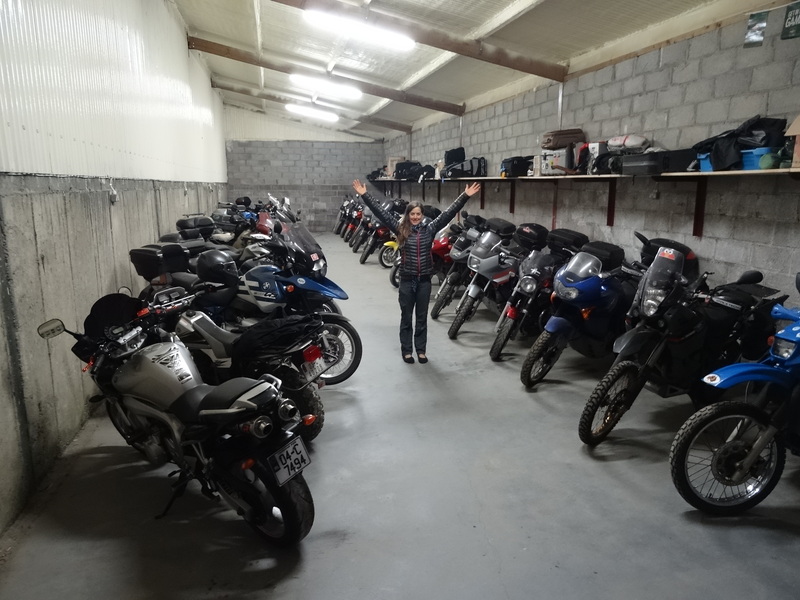 In the Motofeirme bike barn. 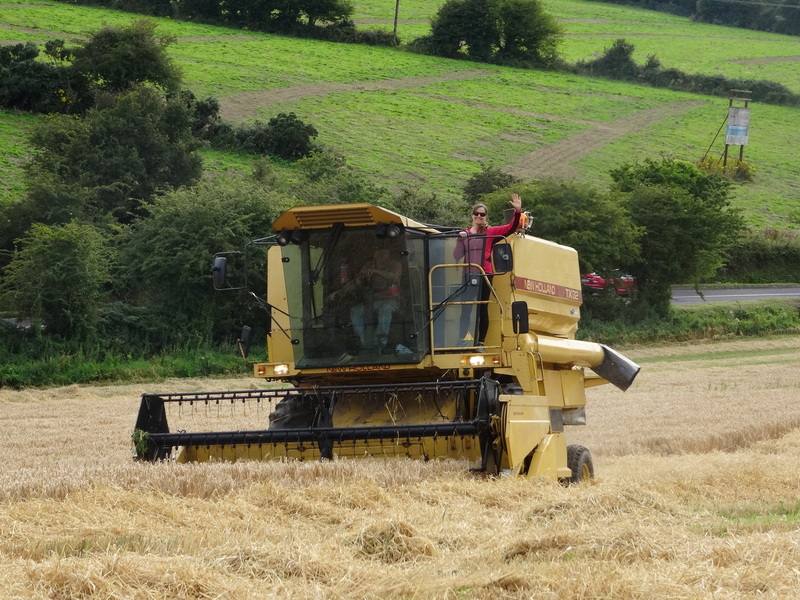 Getting a ride on the harvester. At the pub with Martin. Planting veggies with Philip, Matt, and Colum (driving). 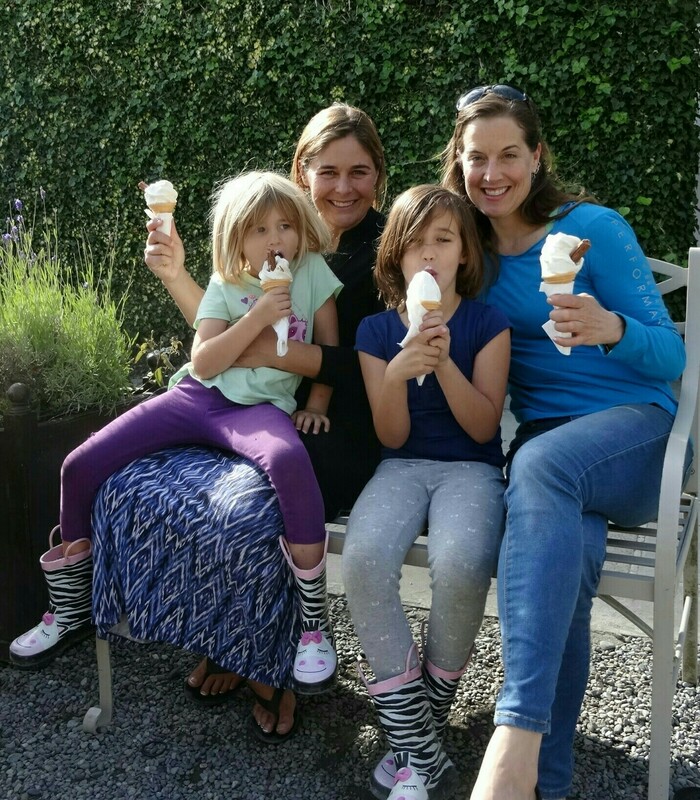 Having a cone wih Anaika, Auni, and Zeia at Powerscourt Gardens. 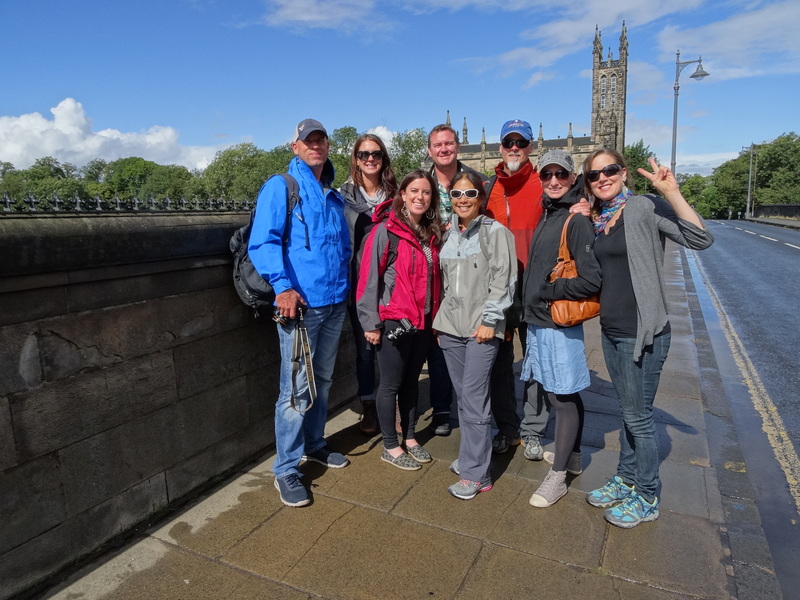 With Ryan, Kristin, Helen, Thad, Jody, Randy, and Karin in Edinburgh, Scotland. Exploring a 7th/8th century oratory with Paul. Lovely day at the harbor.